TEN Ag Tech wants to track eggs from the chicken to the table. Photo illustration by Slate. Photo via TEN Ag Tech Co, Flickr CC. Every industry has a few bad eggs. For the egg industry, it was DeCoster Egg Farms. In 2010, DeCoster was harboring foul cages full of sick hens. Those hens laid 550 million eggs tainted with a toxic strain of Salmonella enteritidis, which in turn ended up on grocery store shelves. The eggs were broken into skillets, whisked into mayonnaise, and ended up sickening as many as 6,200 Americans in what would become the largest egg recall in U.S. history. The U.S. Department of Agriculture and the Food and Drug Administration quickly passed laws to reform egg safety—but not before consumers had seen the crack in the industry’s veneer. Eggs vex us. They’re touted as the pinnacle of nourishment, the best friend of the paleo practitioner, and the centerpiece of the classic American breakfast. “Eggs are nature’s form of portion control … an all-natural, high-quality protein powerhouse,” says the Egg Nutrition Center, an entity run by the American Egg Board. At the same time, news reports tell of deadly salmonella outbreaks and egg recalls. Plus, in the post-Pollan era, buying a carton of eggs means wrestling with questions of chicken cruelty. So what’s an omelet-loving yuppie to do? Enter TEN Ag Tech, a Southern California–based startup that aims to take the existential crisis out of your egg purchase. The tech company seeks to keep the egg industry accountable in two ways. First, it offers mobile-based apps that increase transparency on farms by monitoring human behavior—i.e., keeping track of who enters and leaves a hen house. Second, it engraves each individual egg with its own (nontoxic, naturally) gold laser barcode. Input that barcode onto the Naturally Smart Egg website, and you’ll instantly know everything about that egg’s origins: the breed of hen that laid it, the production method that spawned it (cage-free, traditional caged production, or free-range), and the moment it was packed within 180 seconds. If this is all beginning to sound like a certain Portlandia skit—you know, that one where the couple interrogate their waitress about Colin, the chicken they will be enjoying—then you’re on the right track. It’s that, plus data. TEN Ag Tech seeks to “reconnect consumers to the farms that feed them,” according to its website. Since last July, consumers have been buying the company’s Naturally Smart eggs on the shelves of Chicago’s high-end Mariano’s grocery stores, a division of Kroger. Well, maybe. Trace-back technology does offer some concrete benefits. In our industrialized food system, fresh food travels thousands of miles, switching hands myriad times before making it onto your plate. When foodborne illness strikes, it can take about 30 days for the FDA to trace an egg back to its source, and 45 to 60 days for other foods, says Kevin Keener, a food scientist who focuses on egg safety at Iowa State University. By the time the trace-back is done, that outbreak could have spread to a different state or dissipated entirely—rendering a USDA announcement of little good to the public. “If traceability goes back to farm and links it to certain egg, that would facilitate a much more rapid response,” says Keener, who works with the American Egg Board. Ultimately, a product like TEN Ag Tech’s may be less about food safety than consumer fears. The trace-back technology, which Phillips says was directly inspired by the Great Egg Scare of 2010, appeals to lingering concerns around eggs and foodborne illness. The company’s promotional video asks: “What happens when this system is compromised? How do you ensure you won’t be affected? How do you keep your family safe?” This is followed by the foreboding: “Remember 2010?” From the company’s perspective, this is a smart strategy. Media hype has people terrified of foodborne illness, and individuals and businesses will both do a lot to avoid it—including shell out cash. 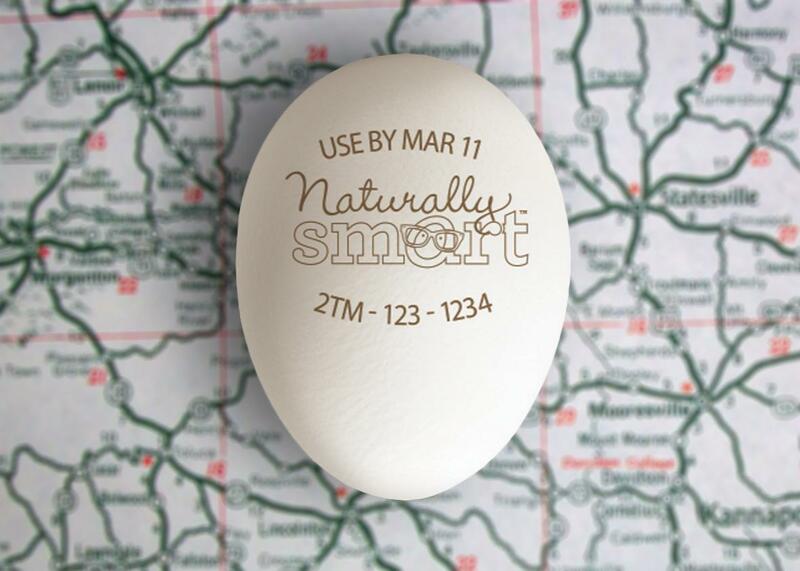 While Naturally Smart eggs currently sell at Mariano’s at the same price as regular ones—around $1.89 per dozen—Phillips imagines them ultimately selling for about 40 cents more per dozen. But from the consumer’s perspective, fear always a bad place from which to make rational decisions. The 2010 outbreak was horrifying, but it was an anomaly: Massive salmonella outbreaks from eggs are exceedingly rare, writes Slate’s L.V. Anderson. According to the USDA, in total, about 1 out of every 20,000 eggs is infected, which means that the average person will consume a single contaminated egg in a 78-year lifetime. Eggs cause far fewer illnesses than meat, seafood, dairy, or fruits and vegetables. You shouldn’t have to worry, as long as you handle your eggs properly: That is, cooking them at 160 degrees Fahrenheit (which instantly kills all salmonella bacteria), and keeping them refrigerated up until that point (which makes bacteria easier to kill). Given those odds, something like TEN Ag Tech is an “overreaction,” says Ken Anderson. “Today, I believe that eggs are as safe or safer than anything you can buy at the grocery store,” says Anderson, who has received funding from the American Egg Board, USDA, FDA, and industry. So yes, if you care about Colin’s well-being and are willing to pay the extra price, individual egg sourcing may be for you. But if you’re looking for a guarantee that the raw eggs in your cookie dough won’t poison you, you’re probably in the wrong aisle.